Discussion in 'News, events, hot issues and others.' started by Rita, May 11, 2017. Life changing everyday, High definition industry developing everyday,Technical breakthrough everyday. What an amazing surprise that Egreat gives to all HD fans today! Egreat released the beta firmware V1.2.0.0 to support 4K UHD Full Rip main movie playback on 4th, May 2017. 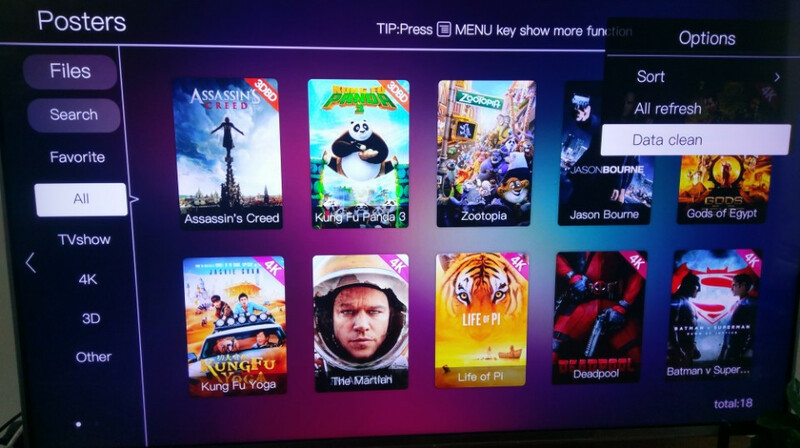 Today Egreat releases the APK to support 4K UHD Full Rip Menu function on Android OS HD Media Player.And perfect support HDR, external dynamic special effect subtitle, audio&subtitle one key switch. Please download this updating APK only and install based on beta firmware V1.2.0.0 to experience. 2. After you download the APK zip file, please put it in U disk directory and connect with Egreat A10/A5, Then “Home Page”--”All Files”, then choose the APK and install. 4. Then press power button of the remote to turn off A10/A5, after 1 min, then restart A10/A5 again. 5. After reboot,please Home page--setting--About--check the desktop and player version should be “2.1.1 beta”. Alex-NK, Sogreat, E_CS and 3 others like this. Well done. Keep it up!!! Only works by installing manually, could it implement in the new FW? yes...curious to know if if we have to install this or if we can wait for futur FW that includes this...and if so, what would be the advantages of these 2 methods ? Yes, sure, which will be in our next FW directly as normal. any links for 4K Full Rip iso? No..look for it..it is everywhere...bu don't even bother if your tv is not one of the dozen models that does REAL HDR!!!! After installation all movie titles and posters are in Chinese. Press "Menu" button on the remote, choose "Data clean" to clear Chinese word, it will downloading Poster again and will show everything in English, good luck! I did this several times and it doesn't work for me. Still in Chinese. Go back to older fw then! Scroll left, setting- library, remove and import HDD again. Yeah, this works! Thank you! Richard Xu, Rita and akanit like this. because of hdcp 2.2 is not passed. yes for me the same question. the 4k uhd full rip 1.1 don't exist on he web. there are only rip in mkv hevc, but hey have not menu. People are not willing to give pirated links here. You sure dont know how to look for stuff..and hdcp 2.2 seems to have been passed.. since the movie was ripped!